Prime Minister Shinzo Abe has implemented some liberal policies, such as a push for equality for working women, and he has championed increased immigration. Japan’s society has, in general, become more liberal in recent decades, for example by implementing trial by jury. These changes could become largely irrelevant if Abe’s party changes the nation’s constitution in the ways that it wants. The Liberal Democratic Party of Japan (LDP), which is one of the most misnamed political parties in existence, it is neither liberal nor democratic. It is a right wing party that pushes Japanese nationalism with a flavor of fascism. The LDP has governed Japan for most of its postwar history, with only the occasional brief interruption. A substantial chunk of the party is philosophically, organizationally and often genetically descended from the political class of Japan’s militarist period. As one might expect, it didn't completely internalize the liberal values that the corporations and people adopted after Japan's loss in World War II. That faction, once a minority, now appears to be dominant within the party. The LDP is now campaigning to scrap the current constitution, and replace it with a draft constitution. In a booklet explaining the draft, the LDP states that "Several of the current constitutional provisions are based on the Western-European theory of natural human rights; such provisions therefore [need] to be changed." 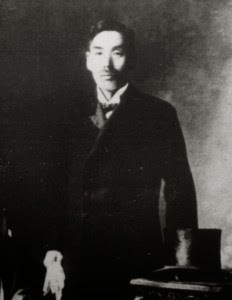 In accordance with this idea, the draft constitution allows the state to restrict speech or expression that is "interfering [with] public interest and public order.” The draft constitution also repeals the clause that prohibits the state from granting “political authority” to Shinto and the Emperor as "God and Ruler" in other words, abandoning the separation of church and state. Even worse, the draft constitution adds six new “obligations” that it commands the citizenry to follow. Some of these, such as the obligation to “uphold the Constitution” and help family members, are vague and benign. A third, which requires people to “respect the national anthem and flag.” Echoing the sentiments of every dictator in history. The provision for a “state of emergency” echoes the justification for crackdowns used by many Middle Eastern dictators. These are completely out of line with democracy. Unfortunately, the deeply illiberal nature of this draft constitution has largely been ignored by Japanese media for fear of losing the coveted place the outlets hold in interviews of government officials or losing membership in the National Press Club, which by the way credentials "official" news outlets and was a creation of past LDP Prime Minister Junichi Koizumi in 2002. Citizens in Japan are only exposed to this about constitutional change: the revision of Article 9 of the current constitution, which forbids Japan from having a military. It is true that the LDP draft constitution does repeal Article 9. And it is true that repealing Article 9 is a big reason why Abe wants constitutional change. But focusing on demilitarization is a dangerous distraction. Repealing Article 9 is a sensible thing to do. Japan already has a military (called a “Self-Defense Force”), and interprets the demilitarization clause so loosely that it’s unlikely that repealing Article 9 would change much. It is very doubtful that Japan would invade other countries if the constitution were rewritten. Japan might as well call its army an army. But the focus on the military issue has drawn attention (especially China, South Korea, and Russia) away from the severe blow that the draft constitution would deal to the freedom of the Japanese people. Japan’s people, of course, don’t want to live in an illiberal state. More than 80 percent of Japanese people opposed a recent “government secrets” law passed by Abe’s government. And they also oppose the LDPs attempt to ease the procedures for constitutional revision. Japanese people have grown extremely fond of the freedom they have enjoyed in the past seven decades. The risk is that the Japanese people might be tricked into signing away their own freedoms. Like Japanese journalists, they may focus too much on the repeal of Article 9, and ignore the replacement of human rights with "obligations." It doesn't help that Japan’s opposition parties are weak, divided and mostly incompetent, while Abe’s government provides the best hope for resuscitating the economy. The real danger in this new constitution. First, it may be part of a wider LDP effort to crack down on civil society, which has become more obstreperous in the wake of poor economic performance and the Fukushima nuclear accident. The government secrets law and other crackdowns on press freedom are a worrying sign -- Japan has already slipped from 10th in Reporters Without Borders’ global press freedom ranking in 2010 to 61st in 2015. 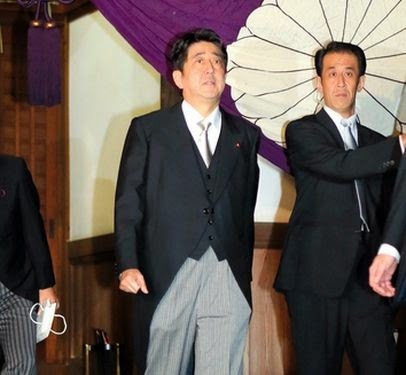 Second, adopting the LDP’s draft could be an international relations disaster. If Japan opts for the kind of illiberal democracy that is currently the fashion in Turkey and Hungary, it could weaken the country’s regional appeal as an alternative to China’s repressive state. It could also lead to the weakening of the U.S.-Japan alliance -- without the glue of shared values holding the alliance together, the U.S. might be tempted to adopt a more neutral posture between an illiberal China and a mostly illiberal Japan. The optimal solution would be for Japan to repeal Article 9 of its constitution while leaving the rest untouched. But politically, that seems to be an impossible trick to pull off -- any measure that would allow the LDP to change Article 9 would also open the door for the authoritarian “obligations” and the weakening of human rights. The best realistic solution is for Japan to delay rewriting its flawed constitution at all, and wait for a time when the people in power are not still mentally living in the 1940s. Japan is at a critical juncture in its history. It has the potential to become a more liberal society, or a much less liberal one. The former choice is both the wise and the moral choice.